Political ad dollars have been a boon for local TV stations for decades. Will local news outlets still be able to capture that money as political advertising moves to digital? That’s a question that the Programming Corporation of America (PCA) aims to help answer. A network of local filmmakers spread across the United States, the PCA wants to produce “high quality, high interest, and infinitely local” video that can slot into the websites and apps of local newspapers and TV stations, building a revenue-sharing model that could pull in digital money that would otherwise go to national outlets or social networks. PCA’s products are series of local, one-minute videos. Seeing an opportunity in the political ad dollars flooding the nation’s early primary states, PCA set up shop in Iowa and New Hampshire and created Iowa Originals and New Hampshire Originals. In both markets, they partnered with and then distributed their video online through local news outlets. In Iowa, this meant working with the Des Moines Register, and in New Hampshire, with television station WMUR in Manchester. “These places have been in the community for a long time. They are good local newsrooms and we wanted to work with places with credibility,” says Beckmann. 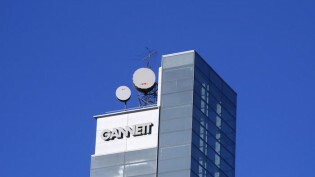 The collaboration extends upwards: PCA is partnered with Gannett (which owns the Register) and Hearst (the parent company of WMUR). 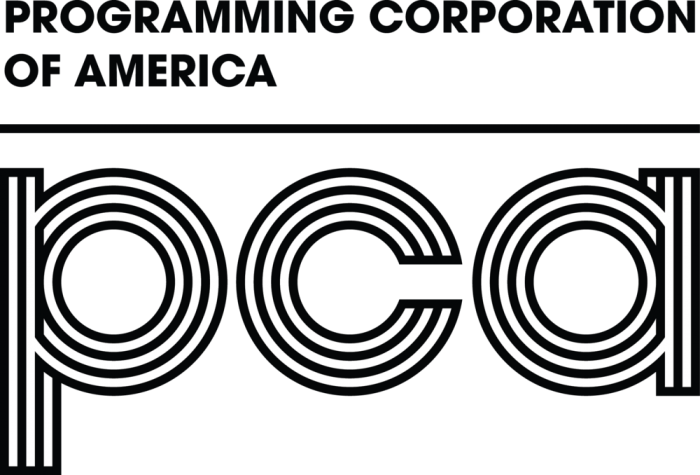 While the videos are all shot on location, PCA maintains offices in New York and San Francisco, where Beckmann is based, for some post-production needs. The video series have a vast array of subject matter, some state-specific, some less so. There’s Iowa Guy in New York, in which a host asks unsuspecting New Yorkers Iowa-themed questions like “Brad Pitt or Dan Gable?” or “What is a hawkeye?” (“That comic book guy with the arrows” says one respondent, which, while true, is also wrong.) There’s also 99 Counties, a series in which the filmmakers visit the best thing in each of Iowa’s counties as determined by locals. In New Hampshire, the series 5 Things New Hampshire includes episodes like “Things You Never Knew About the White Birch Tree” and “NH-born Inventors.” Hard news this ain’t. Between the two states, there’s also a fair amount of overlap in series formats. That’s intentional, says Beckmann: “While still doing stories that are local, we want a replicable ideas that we can expand with.” These serialized series include Let’s Eat!, a restaurant review show, and Cold and Alone, which is technically known as Barefoot and Alone in New Hampshire, when presumably it was filmed in better weather. In the run-up to an early presidential primary or caucus, local audiences are swamped with political advertising. A recent FiveThirtyEight article followed one Iowan family as they counted the number of political advertisements they came across in one day — around 90, or five per waking hour. 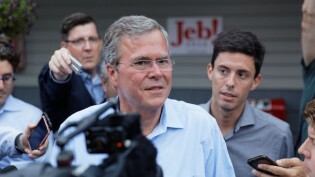 Political ad spending on television has totaled more than $70 million in Iowa alone. In producing one-minute video, PCA is providing an opportunity for advertisers to show their ad every minute. “Not to give the secret sauce away, but with preroll ads, you get paid the same amount regardless of how long the video lasts,” says Beckmann. I saw the same Bernie Sanders ad on PCA videos about 10 times before I got a new advertisement, and because you have to pause the video or click out before the very end when the ad takes over, I saw it as both a preroll and postroll. It’s not hard to imagine how the additional content to sop up the massive influx of online ad spending would be interesting to the newsrooms with whom PCA has partnered. Wired reported last year that over $1 billion is expected to be spent on online ads alone in the 2016 election cycle, a roughly 5,000 percent increase over what was spent in 2012. It’s a trend that is expected to only grow in the future. Beckmann sees this and the partnerships created with local newsrooms as a way to bolster profits and add an additional revenue stream. “We’re doing something the Des Moines Register and WMUR aren’t doing. Most of our shows aren’t newsy — they are more like features,” he says. The PCA videos are presented with a wrapper that makes them look like they’re on the WMUR or Des Moines Register websites; the ad revenue is shared between the partners. 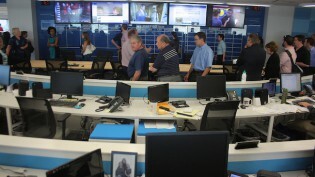 “We hope we’re providing more revenue to traditional news media,” says Beckmann. “We’re not trying to replace them or even disrupt them. They are the last people trying to do this work, and if we can provide revenue that’s not a risk to them, then that’s a happy family.” So far, says Beckmann, PCA has sold out its advertising space most days of the week. Continuing to work productively with local partners is a critical part of PCA’s plan for expansion. PCA will be next expanding to South Carolina, Florida, and Nevada, all before each state’s primary. The obvious problem with relying on enormous local political spending is that, eventually, election day comes. 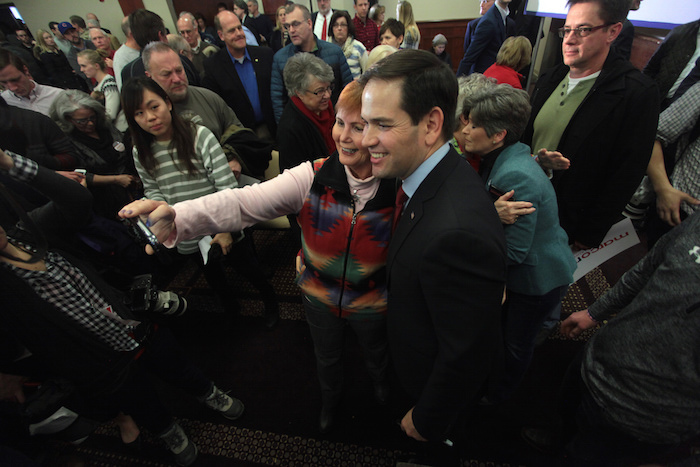 Not many campaigns will be interested in reaching Iowa voters the day after Monday’s caucuses. Beckmann hopes, by the time PCA is in 12 state markets, it will be able to attract national ad buys. There’s also the possibility of producing series specifically targeting demographics in which advertisers have indicated interest. “If they want to reach a certain demographic, they can pay us to develop a series. We’ll come up with the show and they buy the series,” he says. In Florida, PCA is currently developing a series called Fountain of Youth asking senior citizens what their secret to life is. It could be a candidate for an advertiser looking to reach that demographic. There may also be a possibility to continue seeking political ad dollars; though presidential election years bring the truly huge budgets, there are still senate campaigns, ballot initiatives, and other political races, Beckmann says. Of course, to command national ad buys, PCA will also have to prove that it has an audience. Independent watch counts were not available for its video, and while each video invites you to share it on social, I found very few links having been shared on Facebook or Twitter, even by PCA’s partners. PCA itself and the two state sites also aren’t particularly active on social media. While this in itself is proof of nothing, it suggests PCA will need to develop its distribution strategy.